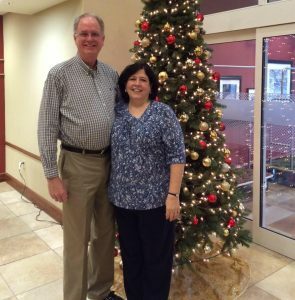 After a season of seeking assurance of salvation, Cindy was born again while attending Bible school in the fall of 1975. Immediately, her life began to change as she experienced a desire to bring people to Christ. As a Christian she possessed the conviction that her highest calling was to be a godly wife and mother. As a Christian she possessed the conviction that her highest calling was to be a godly wife and mother. She served her family with unwavering devotion by accompanying Don in his itinerate ministry as she educated her children on the road. When not traveling with Don or speaking in women’s conferences, she enjoys being a grandmother, counseling women and teaching the ladies in her church.